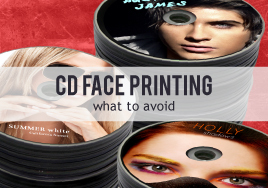 CD Face Printing: DIY Or Not? If you’re considering selling merchandise at gigs and including physical CDs (both are great ways to increase your profits from music), then you’ve probably wondered if it would save you some money by making those CDs yourself. Your choice should primarily focus on just three things: quality, cost, and available time. Some options for printing on a disc face should not be considered regardless of your situation, but you still have a choice to make—should I do it myself or get professional help? For the most part, professional production will provide a less expensive and better product than DIY disc face printing, but DIY might be best if you’re on a super-tight schedule. Read on for some crucial tips. To help you make your decision, we’ll look at the various options and add up the related costs. 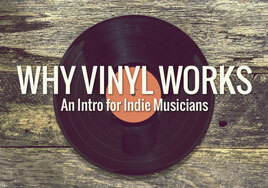 This article will focus on duplicated discs since this is the only option available to DIYers. Short of writing on the disc face with a permanent marker, CDs with a label applied to the face is the standard image most people associate with DIY CD printing. We do not recommend this method unless you have absolutely no other options. Labels are expensive, cumbersome, unprofessional looking, and—most importantly—they can come off of the disc and create a real problem for your fans. Can you imagine your fan’s reaction to your disc jamming their car’s disc player? Not good. Pros: This method is something you can do at home with most standard printers, and it gives you a solution for short run projects. This option is more acceptable for very short runs (10 discs or less) or when you have absolutely no time to get your discs made by the pros (i.e., the gig is tonight and you have to get these on the merch table in just a few hours). An off-center label can cause balance issues with the CD, affecting playability; this happens a lot since it is difficult to place an adhesive label on the disc at just the right spot. A wrinkle in the label can cause issues with players (particularly slot-loading players) as the CD may become jammed in the player. If this happens, you have to dislodge the CD; in some cases, that requires taking the player apart (not much fun if the player is in your car’s dashboard). Additionally, the label adhesive can wear off over time; this can cause a big headache if the label comes off while the CD is in a player. Most printers that print CD labels use inkjet technology that is not waterproof. If anyone touches the printed surface with a slight amount of moisture on his fingertips, the image will smear. Lastly, it takes a good chunk of time to print and apply labels on CDs, and the supplies are not cheap. Your per disc price will still be very high when compared to professional production. Assuming you don’t have any supplies beyond your computer, creating your 100 CDs with this method could cost $130 bucks or more (buying the cheapest printer available). If you have the printer on-hand and don’t buy the software/kit for design/positioning, the price for 100 discs and labels is roughly $65 – $85, or about $0.65 to $0.85 per disc (depending on ink coverage). You still have to attach the labels to the disc face. Since it is likely that some discs and labels will be damaged and made unusable in the process, you should factor this in when calculating your final cost. Keep in mind that these costs don’t include putting the content on the discs. External disc burners or professional-grade disc duplicators can take the price up drastically. If you choose to burn the discs on your computer one at a time, then no additional investment in equipment may be necessary, but it can take quite a bit of time to burn the discs. Another DIY method of CD printing is printing on the disc face itself. In recent years, a decent number of home printers with this capability were released. While many models have since been discontinued, there are still some available. The majority of these printers are geared toward at-home photo printing, and this is where most of these models shine. The printers come with a special attachment that allows the printer to print directly on a disc face instead of paper. Please note that these machines are not intended for a production environment. Do not go down this path if you want to print a large quantity of discs or use this technology for an extended period of time. Pros: This method results in a more polished, professional product than labels, since the design is printed directly on the disc face. There is no label to come unglued. Time is on your side when you need a short run quickly—no need to send the project out to get it done. Cons: Not every home printer is able to do this; special equipment may be necessary. Many of the same challenges that face labels also face direct print. Most printers that direct print CD labels use technology that is not waterproof. If anyone touches the printed surface with a slight amount of moisture on his fingertips, the image will smear. Direct printing your own CDs is also fairly expensive; you can expect to spend $0.85 or more per disc if you already own the equipment, much more if you need to purchase the printer. 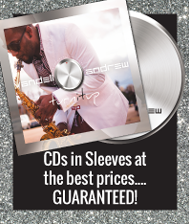 Most of the time you can get a better product that is also cheaper by buying your CDs from a professional supplier (if time allows). While this option provides a more polished product than printed-then-applied labels, the expenses can add up quickly. Going with a more affordable printer, it can run you over $475 to get started. Even if you already have the printer, the cost of ink and CDs alone starts at $175. This is significant because you can usually purchase your discs from a professional supplier for less money, even if you already own the equipment. These costs don’t include putting the content on the discs. Instead of applying CD labels or investing in expensive printing equipment (that you may or may not use for other items), you might consider ordering professionally-created CDs. If time allows (most can manufacture bulk discs in just a few days), then this option will save you money and provide a better product than the do-it-yourself methods. You may have to pay shipping costs (if the company you choose has to ship the CDs to you), but you might be able to avoid sales taxes. Most importantly, the quality of printing will be better than either DIY option. Check with your supplier to confirm that they use inks that will not smear when exposed to water and that all printing will be done directly on the disc face. No labels of any kind should be used. You might also ask if they can print close to the hub of the disc, which gives you more printed surface on the disc and looks better. Some manufacturers can only print part of the disc face and leave a large unprinted ring (up to 1.25” in diameter) in the middle of the disc face. Pros: Ordering CDs frees up your time and energy to focus on your music, and you don’t have to worry about putting the content on the CD. Using a supplier has a variety of other benefits, including packaging options, a variety of quantities, price breaks for ordering in volume, and even programs to help make getting the product you want more affordable. Cons: You’ll need to find a reliable supplier who puts out a quality product at a fair price, and you’ll have to work with production timelines. If you have to get discs for tonight’s gig, then professional production is not likely an option. Plan ahead for next time and save some money. There are so many choices to make regarding selling merchandise, even when narrowed down to a CD. Whichever you decide, be creative and remember the content matters the most! * Professionally-created disc prices taken from our parent site, www.nationwidedisc.com. How Many CDs Should I Purchase for a First Release? 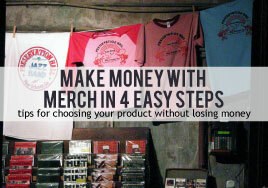 There are many decisions to make when ordering merchandise for your band. In general, you need to figure out which products you want, which supplier you want to work with, how many variations you want, and how many of each you should order. 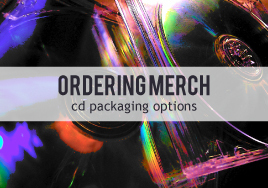 Specifically, when ordering CDs, the questions you face are whether you’ll do it yourself or order professionally-manufactured product, which manufacturer you’ll use, whether you want duplicated or replicated discs, what type of packaging is best, whether or not you need special add-ons, and, lastly, how many CDs you should order. Is your head spinning after reading that sentence? Ours are. The process can be a little overwhelming. 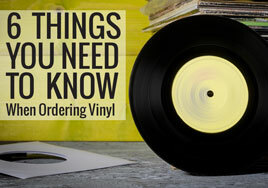 To make things easier, we’ll address just one of those decisions today: how many discs your band should order. The warehouse shopper argues that buying in bulk saves you money and, therefore, is the best option, always, no matter what. Someone with this mindset probably has 94 rolls of toilet paper for their studio apartment, 7 unopened tubes of toothpaste on standby, a giant box of frozen burritos (okay, that might come in handy), three 48-oz jars of coffee grounds (which is enough to make 1140 6-oz servings), and multiple bottles of ketchup bigger than your head. Yes, there are benefits to buying in larger quantities. For starters, you’re unlikely to run out of something. Then there’s the financial aspect: increasing the quantity of your purchase generally lowers the cost per piece. 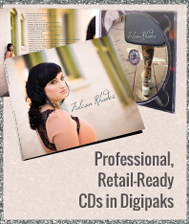 For CD purchases, a CD in a six-panel wallet with shrink wrap runs $369* for 200 pieces, or you can get 1000 for $769. While you’re spending more money overall on the larger purchase, the per-piece price drops from $1.85 to $.77. That’s an impressive savings. On the other hand, you might not be considering such extremes; 100 CDs in six-panel wallets are $220, and 200 are only $369. The only real financial consideration here is the $149 that you will pay to get twice as many packaged discs. But there are disadvantages to ordering in bulk. First, that price. It’s a bigger up-front expense, even if it saves you money in the long run. While you’re saving up for the big purchase, you may be missing out on the chance to sell CDs to fans who want your music now. These incremental sales can help grow your fan base, and they are still highly profitable sales. Second: volume. When buying large quantities, you have to spend more money on shipping to have the CDs delivered to your house and use more of your valuable closet space to store them. Third: risk. That’s the biggy. No one wants to lose money on a CD release because they still have 75% of their inventory in storage and sales have slowed to a stop. You never get money back on CDs that don’t sell. The antithesis of the warehouse shopper approach is the overly careful and cautious method. This shopper buys groceries daily (or constantly dines out) to avoid their food spoiling before it has the chance to be consumed. They don’t replace or restock something until it’s absolutely needed. Nothing is wasted. There are some benefits to this concept. First, you don’t have to store ridiculously large amounts of anything anywhere. This means no boxes of CDs sitting in your closet for months if sales are slow. Second, your risk is minimized. Just like there is the smallest possible chance of food rotting before being consumed, there is less chance that you will lose money on large quantities of CDs that do not sell. But, when you are thinking about your music and your CD… that’s an awfully pessimistic approach to take. If you’ve been performing, have rehearsed night and day, regularly book gigs and draw crowds, and have recorded your music, why would you say “well, we’d better order the smallest amount possible, in case no one buys our music…”? Also, you tend to pay more for the convenience and low-risk of small quantity purchases. So… How Many CDs DO You Buy? Think about what stage your band is at. 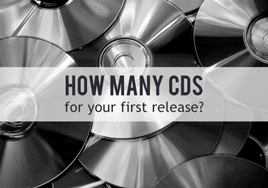 Is this your first CD order, and you’re not sure how many CDs you’ll be able to sell? If you’ve been gigging regularly and have a fan base, you’ve already “tested the market”. 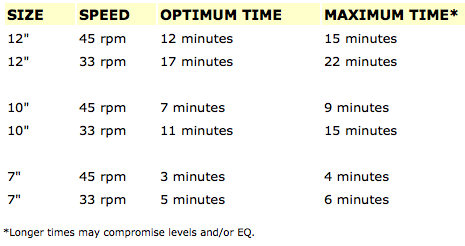 Look at the data available to you from that testing. How many followers do you have on social media? 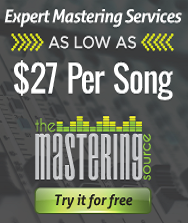 If your music is online, what does your streaming or download rate look like? How many fans show up at your shows? How many times have you been asked if you have a CD for sale? (If you’ve been asked this question, we hope you kept the questioner’s contact information.) If you don’t have existing support and demand, a large CD order is a big risk. For more-established bands, how did your past orders sell? Is this a reorder of the same product? If so, how saturated is your fan base with this product? If it’s a new release and you’ve had success selling a large quantity of CDs in prior releases, then you will probably benefit from the better per-piece pricing of a larger quantity, and your risk of unsold CDs is not nearly as high. Consider what events you have scheduled. If you’re heading out on tour in a few weeks, is a small order going to last the length of your tour? How easy will it be to reorder from the road? Also, do you have the space to bring along a large order? How are you going to promote this release? The right type of promotion can help generate demand. Not all artists can pull Beyoncé’s stunt and release a CD with zero up-front promotion and watch it sell faster than water in the Sahara. Odds are, without good promotion, your eager fans won’t know that you have something to offer them, and your sales will suffer. Why are you ordering CDs? Are you including it in press kits? Is it for fans? Is the project a special edition/limited release deal? Press kits and limited release orders might justify a smaller quantity, whereas standard orders for your fans could probably support larger bulk orders. We don’t know what stage your band is at, what you have planned, or why you’re ordering CDs, so we can’t answer this question for you. If you truly only need 100, then order 100. If you’re good to order 1000, more power to you. If the answer is somewhere in the middle—from regular orders of 500 discs, to a smaller order now to help you afford a long one down the road—that’s fine too. Regardless of your specific answer, there is a manufacturer who can meet your needs. For example, finding a manufacturer who offers replicated discs in quantities of 100 is difficult, but it’s not impossible. NationWide Disc offers replicated disc packages that start at 100 pieces. NationWide Disc also has its Indie Club program, which allows artists to re-order replicated discs (with or without packaging) from 100 to 500 pieces at half off the original purchase price. It changes the quantity problem entirely. Purchase a small amount of replicated discs in packaging, and then have the option to re-order more if you have a knock down hit with your release. No need to make a risky investment. 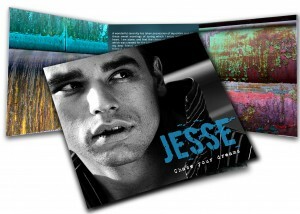 For example: Purchase 300 replicated CDs in a six-panel digipak with shrink wrap for $509. Your release is a hit and now you need to order 300 more. Great! On the first re-order you pay just $254.50. In fact, with the 300 piece Indie Club order program you can also re-order again for an additional 300 packages (making the total 900) and still pay just $254.50 for the second re-order. There is a $49 one-time fee to qualify your project for the Indie program. If you do not need to order more than your original quantity of 300 pieces, you have no obligation to purchase any more discs. The point is, if you don’t see the option you need listed on an order form, call and ask if it’s something they can do for you. 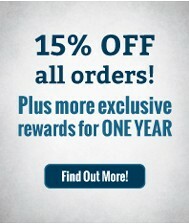 * All prices are taken from our parent site, www.nationwidedisc.com. Prices do not include shipping. When you go out to eat, you expect the food you order to be good. But if it shows up in front of you looking sloppy, with sauce dripping off the edge or a fingerprint in the roll, you’ll probably suspect that the quality of the food is on par with the poor presentation. The same can be said for your music. If you’ve spent long, meticulous hours perfecting your newest album only to throw it on a poorly packaged CD, those who see it won’t anticipate a quality product inside. 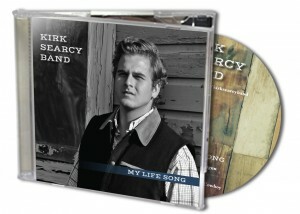 Make sure you put the same amount of care into creating your CD packaging as you have the music itself. To do that, it’s important to know what your options are. Ten years ago, jewel cases were the go-to option. Nearly every music CD was sold in them, and for good reason. Their clear cases let the artwork shine, there was room for multi-page inserts, and the structure of the hard plastic case protected the CD itself. If you’re like us, you have stacks of CDs in jewel cases lying around somewhere. But, unless you already have artwork designed for this format and find it difficult to change, you probably don’t want to order this package for your music project. Think back to those stacks of CDs in jewel cases… how many of them have cracks on one side, are scratched, or are missing one (or both) of the hinge tabs that keeps the front attached? How much space do they take up, for how few CDs? Is that what you want to lug around from one gig to another, not to mention pay shipping on? What is the fan experience like if their jewel case is broken or all scratched up? Don’t stacks of CDs in jewel cases send you right back to 1989? Jewel cases might have been the standard; while they still sell surprisingly well, they’re bulky, fragile, and a little outdated… maybe they aren’t the best choice for your project. This envelope-style packaging is a very simple and basic way to protect the CD. They get the job done and are very cost-efficient, but they’re not super special. With only the front, back, and disc face, there is little room for extra artwork or information. If you’re wanting to engage and connect with your fans, sleeves could work, but they’re not the best option. If you’re super concerned about saving space (like, you’re flying out for an overseas tour and can only take one bag and your instrument), then they might be a good choice. CD sleeves are also a solid choice for sending demo CDs to promoters or venues, since your press kit will have other material about your band. A step up from sleeves, wallets are another all-cardstock packaging option for CDs. However, they offer artists a lot more flexibility with design and the amount of information that can be included than sleeves do, since they commonly come in four, six, and eight-panel options with one, two, three, or four pockets and up to four discs. They also take up very little space (slightly more than a sleeve does). If you’re worried about space and durability but want to offer your fans more than the very-basic sleeve, wallets might be your answer. Digipaks are the ideal combination of practical materials, flexible design choices, and that little touch of special that your fans want. These factors help explain their surge in popularity over the last few years. Unlike jewel cases, digipaks are made of cardstock, meaning they won’t break nearly as easily as the plastic jewel cases. This also makes them a bit more eco-friendly, if that’s your thing. (If so, note this: Digihubs, which replace the plastic tray with a rubber hub, take the green thing a little farther.) Depending on the size of your digipak, they also take up roughly half the space that jewel cases do—a bonus if you’ve got a van full of bandmates, instruments, snacks, and merch. Where digipaks really shine is their flexibility in design. You can order them in four, six, or eight panels and they can hold up to seven discs. If you add a slit or pocket, you could even add a standard insert or booklet on top of that. Think of all the lyrics, liner notes, credits, and stories you could share with your fans in that space, of the extra band photographs and graphics you could include. No more deciding between thanking your wife or your grannie for supporting your passion; thank them both. In fact, thank everyone. And tell that story about that one gig and your drummer. You know the story. Not only do digipaks allow more room for artwork, photographs, and text than jewel cases or sleeves, but they allow room for more media. You can include multiple CDs or turn your merch into a CD/DVD combo, with a recording of a live show or “behind the scenes” video of the recording process. This upgrades your item from a standard, run-of-the-mill CD to a keepsake. We get it. You’ve spent money on instruments, maybe some lessons, band promotions, your website, the recording studio, touring, and so on. Being in a band can be expensive, and buying CDs can involve parting with a big chunk of change. So, let’s look at the costs*. Really. Jewel Cases: For 1000 replicated discs with the most basic two-panel, full color jewel case available (with over wrap), the cost is $878, or $0.878 per CD. Digipaks: For 1000 replicated discs in Six-panel digipaks (with over wrap), the cost is $1,036, or $1.036 per CD. Look at the cost per package. For the same quantity and method of production, the price between the different packages varies by about $.16, just a little more than a dime. A dime. Think about your fan. What would they rather have: a two-panel jewel case or a six-panel digipak? You have a great opportunity to make the best first impression possible by giving your fan the superior digipak packaging. They will appreciate your extra effort, and you have the opportunity to use the design space on the six-panel digipak to tell more of your band’s story. Everyone wins. Remember, you’ll probably be selling your CD for at least $10. If you include extras (like a second CD or a DVD and a booklet or insert) and use top-of-the-line materials, you can bump that price up a little more. Even at $10 each, one CD sale covers your cost of almost 10 CDs, even if you choose nicer packaging like the six-panel digipak. Another way to think of it – you make 85% to 90% profit on every disc you sell. Nothing else on your merch table generates this kind of profit. As far as packaging goes, really consider your options. Again, think about your immediate needs. Are you traveling and short on space? Is the CD going in a press kit? Or is this going out to fans? Then think about the difference that $.16 can make in the product you offer your fans, and the difference it can make in how those fans view your product and your band. Is it going to cause frustration for you with toting it to gigs, or for fans as it breaks and takes up shelf space? Is it going to strengthen your fans’ connection to your band and become something they treasure? After all the time and money you’ve invested in creating the perfect sound, it would be a shame for that work to be overshadowed by sloppy or even just average presentation. Because when it comes to selling merchandise, presentation really does matter. See also: Ordering Merchandise: CD Duplication vs. Replication, How Many CDs Should I Purchase for a First Release?